Item # 301130 Stash Points: 2,199 (?) This is the number of points you get in The Zumiez Stash for purchasing this item. Stash points are redeemable for exclusive rewards only available to Zumiez Stash members. To redeem your points check out the rewards catalog on thestash.zumiez.com. Complete your casual look with the Careless Whispers Mustard Ringer T-Shirt from Obey. 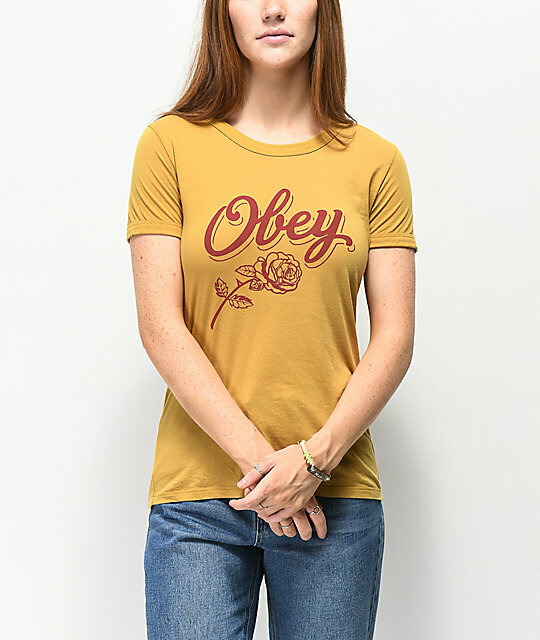 This yellow/gold colored ringer tee features a red screen printed graphic at the chest of a rose, along with an Obey script logo. With a slim fit, and ultra-soft feel, the Careless Whispers Mustard Ringer T-Shirt is the perfect addition to any casual wardrobe. Careless Whispers Mustard Ringer T-Shirt from Obey. Mustard and red color scheme. 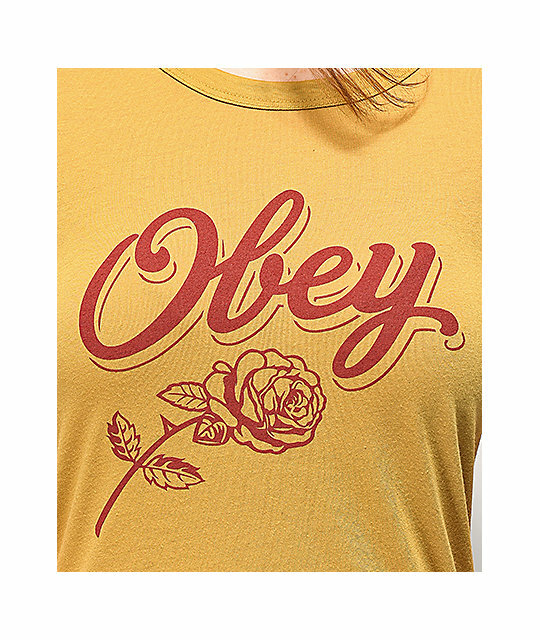 Screen printed Obey graphic at the chest. Banded collar & short sleeve trim. 24" (60cm) from top shoulder seam to bottom hem.